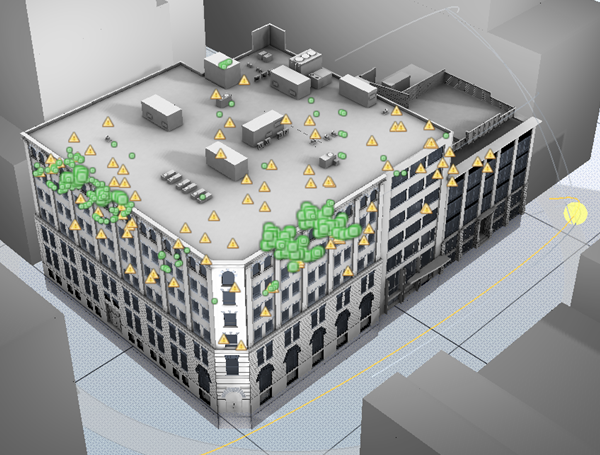 As sensor networks in buildings continue to grow in number and heterogeneity, occupants can become empowered to better control their environment for comfort maximization and energy minimization. Since buildings are the primary consumers of energy and are the dominant cause of greenhouse gases, apps that help occupants to understand and control their interactions with a building could be extremely beneficial to society. However, the massive raw data sets that could be collected must be aggregated and visualized to be usable which presents significant data handling, information visualization, and interaction challenges. In the context of Project Dasher, a prototype building site for exploring these issues, we discuss lessons learned and challenges ahead to develop ubiquitous computing support for sustainability.